In my opinion, teaching students to write in first person (about themselves, their life experiences, their reflections, etc.) is much easier than teaching students to write academically or write research papers. 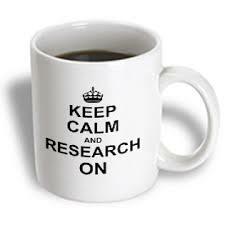 That is why I like this strategy: Research is Fun, because I think that finding new ways to teach research/professional writing is essential for engaging them in the classroom content. 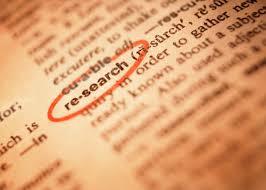 What this strategy focuses on is different ways to approach research. One of the first ways to do this is by having students write about and research their personal family histories. Students can begin writing in first person, but then, as they get to the point where they’re actually writing a paper, the teacher can encourage and scaffold them into writing in third person (a shift towards academic writing). This is a way to lead students into research writing and encourage them to use their own words as opposed to plagiarizing, which is more difficult when writing about their own families. Another aspect of this strategy is to have students research a specific moment in history and then write about it from the perspective of a person, object, etc. from that time period. This idea includes research, but it does tap into the students’ creative side. Students will get familiar with how and what to research, but they can still enjoy writing as they put themselves in the mind of another character. Another idea is having students write as if they were news reporters—more professional writing as well as research. Students can also have the freedom to choose a narrator, which helps them to work on not only writing from the first person of someone else, but third person of someone of a different age, etc. This strategy also includes a narrator chart—students can work with the teacher to brainstorm different narrators for different events/periods of time. Through this chart, students can see different lenses they can write from and can be creative while still gaining academic understanding. I like this strategy because it encourages creativity, but still keeps the components of academic writing and research as priorities for the project.